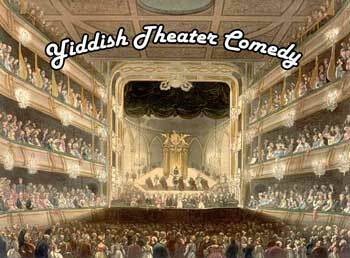 Yiddish Theater has its beginnings in 19th century Europe. During the 1800s, traveling bands of performers and jesters were popular throughout Eastern Europe. In 1876 Abraham Goldfaden launched the first professional Yiddish performing troupe in Romania. At the same time though, Jews began fleeing Europe as social and political changes erupted in violence. The tidal wave of immigration to the United States quickly made New York City the center of Eastern European Jewish culture in America. Actors, singers, composers and dancers from Yiddish theater sought jobs in New York’s developing vaudeville scene. Yiddish theater became a haven for many of the Jewish immigrants on New York’s Lower East Side. Many Yiddish-speaking immigrants were disappointed to find the streets were not paved with gold. Homesickness made them long for the old, the familiar, and the left behind. Yiddish theater offered a temporary respite from hard daily realities and offered a few hours of nostalgic return to the old country without the persecution and the pogroms. Yiddish musical comedies and dramas dealt with real-life issues, stories about the “old country”; Biblical stories; adaptations of plays written in English, and skits about life in America. The music in these plays became so popular between 1894 and 1942 that approximately 50,000 records were produced. Radio stations featuring Yiddish culture and music were popular with Jewish audiences across America. The recordings in this collection were produced between 1901 and 1922, at the height Yiddish Theater’s popularity. 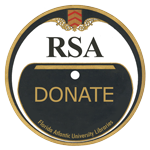 The JSA has created 14 digitized collections from original 78 rpm recordings. It highlights the talents of four stars of Yiddish Musical Comedy: Clara Gold, Gus Goldstein, Anna Hoffmann and Jacob Jacobs.